Do you like Jumphobia: Player's Pack? Share it with your friends. 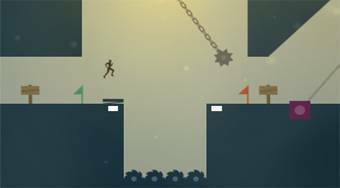 Jumphobia: Player's Pack is a sequel to an excellent jumping game where you can look forward to the brand new levels created by the players themselves. In each round, move around the playing area, overcome various obstacles, traps, traps, and always try to get into the goal in the form of a lit lamp. There is also a level editor in which you can create your own bike.